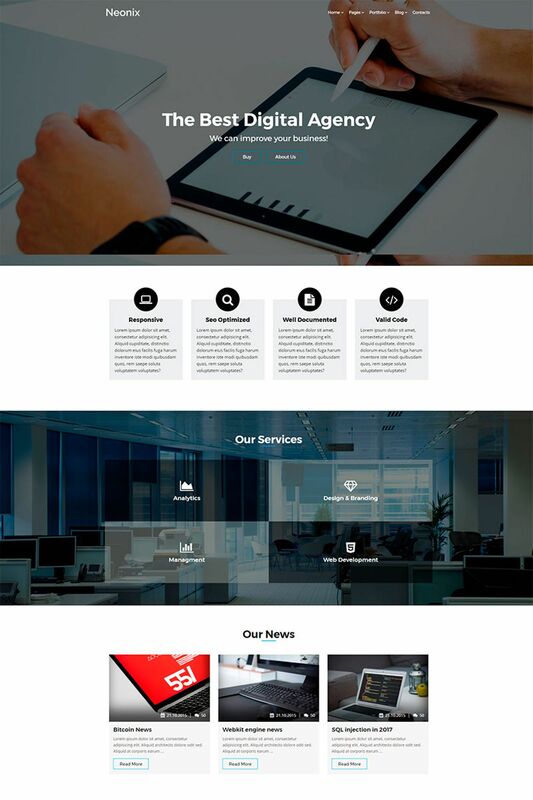 Ember is a powerful marketing and business WordPress theme designed for digital/ marketing agencies, web studios, portfolios, small and medium businesses, online marketers, SEO experts and other digital service providers. It is fully responsive and translation ready. You do not require any coding knowledge in order to create a stunning website using Ember. On top of that you can create your website within a minutes using our demo. Finally, we have prepared detailed user manual in order to ensure smooth and easy work with Ember. However, if you will have any questions or difficulties – we will be there for you! Just drop us an e-mail to differ.themes@gmail.com and we will get back to you as soon as possible!